Our well-trained and experienced staff provides excellent alteration and garment repair service that Sudbury Steam Cleaners backs 100%. 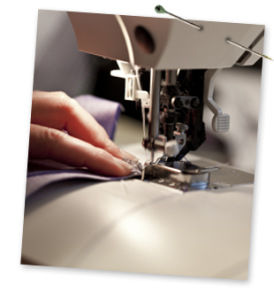 The quality of our alteration services is a direct result of the combined years of experience of our staff of nine. We provide the flexibility of doing anything from hemming your brand new pair of jeans that you need for the weekend to re-tailoring your favorite suit. We do high quality alterations with similar turnaround times as our cleaning so you never have to wait long for your items; with some alterations, like pants hemming, done while you wait.